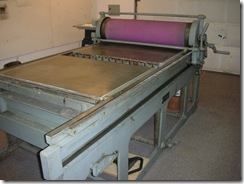 Bonnie Sheckter in Toronto has a Hunter-Penrose 30 x 40 inch offset proofing press she no longer needs. 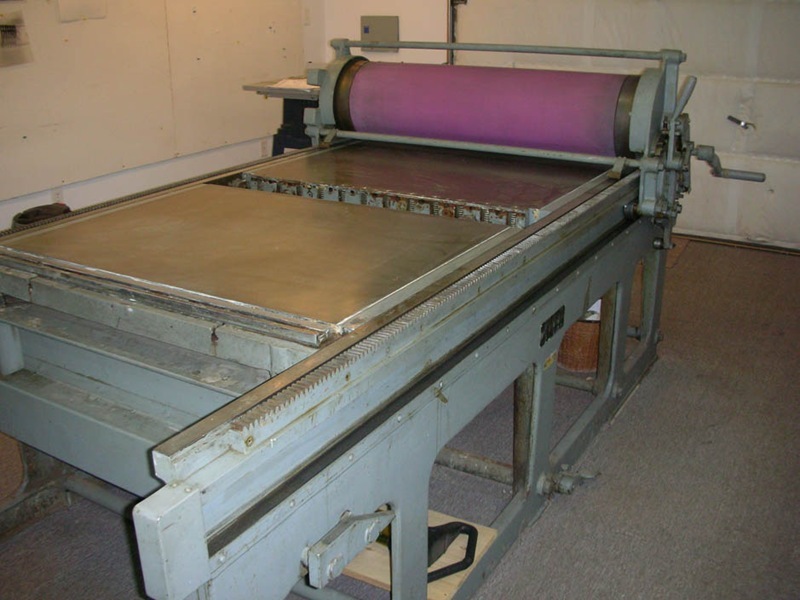 It looks like a terrific press that should make some lithographer more productive. As you know, I believe the quality of prints done on an offset press are much better, with less stress on the printer in pulling proofs. You can contact Bonnie by phone at 416-658-1565, or by e-mail at bonniesheckter@sympatico.ca.